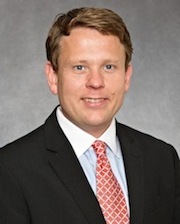 Steven J. Kelly is a member of Silverman Thompson Slutkin & White, LLC, a Baltimore-Washington boutique litigation firm. Prior to joining STSW, Mr. Kelly was an associate at a pre-eminent Baltimore-based law firm, where he gained extensive trial and appellate litigation experience in complex matters in state and federal courts throughout the country. Mr. Kelly specializes in representing people who have been injured against others for intentional tort, negligence and wrongful death. Mr. Kelly also focuses on representing individuals catastrophically injured and families of those killed in major automobile accidents involving drunk, impaired and negligent drivers. In addition, Mr. Kelly has focused broadly on prosecuting complex business torts ranging from intellectual property prosecution to corporate raiding and corporate fraud. Mr. Kelly began his career DLA Piper (U.S.) in that firm’s complex commercial litigation group. From 2004-2005, he was the law clerk to the Honorable Richard D. Bennett of the U.S. District Court for Maryland. From 2005-2012, Mr. Kelly worked in the complex litigation group of Miles & Stockbridge, P.C. Mr. Kelly has served as first-chair in several jury trials in state and federal court and has argued appeals in the Maryland appellate courts and in the U.S. Court of Appeals for the Fourth Circuit. Since joining STSW, Mr. Kelly has brought the largest mass tort action ever filed against a class of pedophiles found to be in possession of images depicting the sexual molestation of the two young plaintiffs. Mr. Kelly has been involved in a number of other high-profile cases and regularly appears on the media to address cases involving victims of crime. Mr. Kelly is also recognized nationally as an authority on crime victim rights and he regularly trains prosecutors, law enforcement officers and crime victim advocates on those topics. Mr. Kelly has been recognized as in the Maryland SuperLawyers® publication since 2007, he has been appointed as a permanent member to the highly-selective Judicial Conference of the U.S. Court of Appeals for the Fourth Circuit and, in 2013, was named to serve with a number of federal judges on the Board of Governors for the Federal Bar Association Maryland Chapter. Co-Author, Has the Expert Adequately Accounted for Obvious Alternative Explanations?, The Daubert Compendium 2006, Defense Research Institute (2006).